I love sister books. 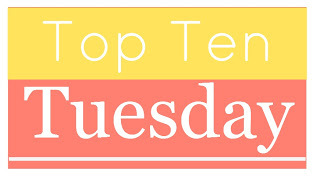 So it was easy to fill in the blank for this week’s top ten tuesday category. What wasn’t wasn’t easy was narrowing the choices down to ten. I have a no books by the same author rule, and let me tell you deciding between the Bennet Sisters and the Dashwood sisters was very near impossible. Let me know your favorite fictional sisters in the comments and have a lovely Tuesday everyone! Big thanks to The Broke and the Bookish for hosting this weekly book meme. Oh, I like sisters books too! Maybe because I was mostly an only child. (I have a wonderful stepsister whom I consider a sister in every way, but she came along when I was in middle school, and didn’t live with us.) Little Women and Ballet Shoes are two of my favorite books from childhood, and several of the others (I Capture the Castle, Fangirl, and Sense and Sensibility) are on my TBR list.) I’ll have to check out the other titles! Interesting. It’s always fun to find someone who’s read Ballet Shoes. I love those books, but it seems like almost no one else has read them. I think they go through periodic revivals, but Ballet Shoes is one of the few that seems to get republished now and then. I totally was on the same journey in Fangirl and yay for the Song girls! Thanks for commenting! What an excellent topic. Let me see if I can think of a few others…The Bennet sisters in Pride and Prejudice; The Sky is Everywhere by Jandy Nelson; Briony and Cecilia in Atonement by Ian McEwan; Susan and Lucy in the Chronicles of Narnia. It was harder to think of than I thought. Good job finding the ones you did. The Sky is Everywhere was on my long list, but ultimately got cut. What a beautiful beautiful book. Fantastic choice of list! I love reading books about sisters as well. Probably because I have such a wonderful sister. You’ve picked some great books! I think I like books about sisters for the same reason. I love your topic! I really enjoyed to All the Boys I’ve Loved Before, I can’t wait for the sequel. And of course I love the Hunger Games as well. And Fangirl. The other books I still have to read -I just lent Little Women from the library. Hope you enjoy Little Women! Love this topic and the books that made your list! Such a wonderful collection of stories, with some favourites. Little Women and Ballet Shoes particularly! Yay! Another Ballet Shoes lover! What a wonderful topic! Little Women, Fangirl and To All the Boys I’ve Loved Before are great picks. I need to check out the rest – Great list! Thanks! I loved your list too. I’m not sure my comment on yours went through, but I can’t imagine a more fun road trip than being in the car with Anna, Lola, and Isla. Me too. I think that was probably the central relationship of the books for me. Great topic! And so glad to see Hunger Games on here. It’s the perfect choice. hanks! I’m super intrigued by your list topic. Can’t wait to read it! I love this topic; it seems like most of the books I read have orphan or only child main characters who don’t have much by way of family — it’s nice to see family, siblings, and sisters shone in a positive, supportive light sometimes! Also, you should totally give We Have Always Lived in the Castle a try — an amazing, creepy book centered around two sisters! Thanks for the recommendation. I will definitely check it out! I need to read Fangirl and To All The Boys I’ve Loved Before. great list! Those are two of my favorites, so I definitely suggest you read them! I’ve read a lot of these, but not Wise Children. I looked at it on Goodreads and added it to my list. It sounds funny. It is very funny and very good. I hope you enjoy it! I like sister stories, probably because I don’t have one myself. I’d add the “So You Want to Be a Wizard” series by Diane Duane. Sisterhood is even more complicated when you have magical powers! With the exception of Hunger Games and Little Women I haven’t read any of these but several are on my TBR. I especially interested in I Capture the Castle. Great topic!